addition I can. I will not be long from you. impatience. The gods reward [deserve] your kindness! Come hissing in upon ’em! horse’s health, a boy’s love, or a whore’s oath. Thou, sapient sir, sit here. Now, you she-foxes! How do you, sir? Stand you not so amazed. I’ll see their trial first. Bring in the evidence. makes these hard hearts [this hardness]? say they are Persian attire, but let them be changed. so, so, so. We’ll go to supper i’ he morning. So, so, so. And I’ll go to bed at noon. Come hither, friend. Where is the king my master? Good friend, I prithee, take him in thy arms. I have o’erheard a plot of death upon him. When that which makes me bend makes the king bow. He childed as I fathered. Tom, away! What will hap more to-night, safe ‘scape the king! yeoman: property owner below the rank of gentleman (the fool’s next line suggests that the yeoman has indulged his son, to raise him to higher status than himself). In some productions the Fool indicates with this line that he refers to Edgar and sees through his disguise. 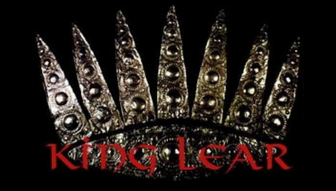 he: Lear? or one of the demons? minikin: shrill, possibly referring to his pipe with which he calls the sheep. horn: madmen usually carried horns for begging; Edgar implies that he tires of his role and cannot maintain it much longer. noon: the fool’s last line, he is not seen again (no explanation given). o’er skip: it’s easier to overlook our own suffering when we see that we do not suffer alone. childed as I fathered: he suffers from his children as I do my father. Mark the high noises: take heed of the rumors of strife between those in power?